← Let’s start the week, shall we? 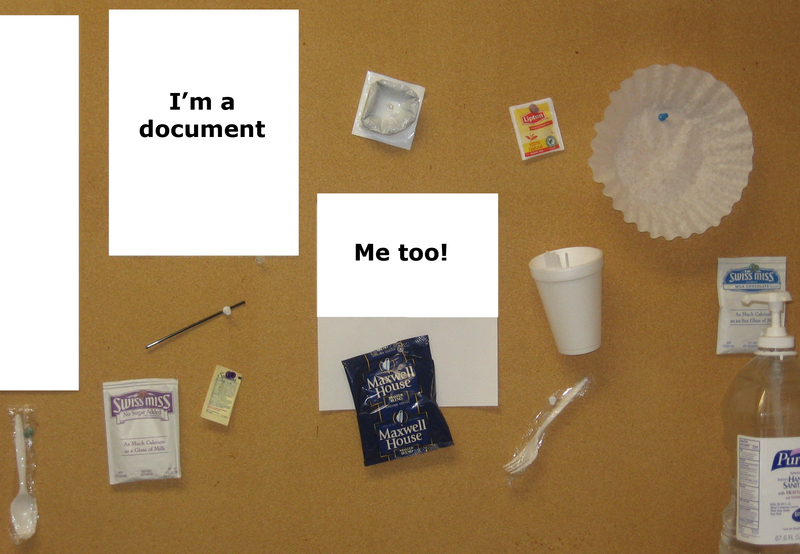 This a picture of the bulletin board in our break area at work (documents altered to protect the innocent). Every day for the last two weeks or so, someone (or possibly more than one person) has been adding an item to the board. Speculations abound as to which item was first though many suspect it was the Maxwell house at the center. The square with the ring shaped bulge is the decaf. And yes, those are stirrers in the cup. What item do you think will be added today? PS (The Purel is not attached to the board, but sitting on top of the microwave below this picture).